The covering of a structure is one of the most important elements. A roof covering can take many forms and be made of any of various materials. The professionals have the knowledge to help the customers replace or repair the roof. 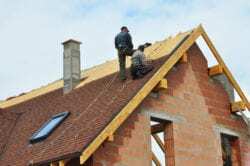 Are you looking for a roofing contractor in Raleigh? 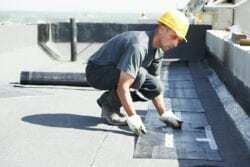 Do you need roofing services in Raleigh and the area? 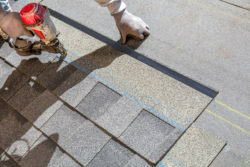 RiCal Construction has the most trusted and professional contractors for roofing services in Raleigh, NC. We make use of many different types of roofing, including metal and tile. We also perform construction projects with cedar or wood decking, vinyl siding and more. It does not make a difference of the type of appearance you have, our dependable and respected field teams are ready to respond. You can update your structure’s aesthetic attractiveness and be rewarded with the look you want with top quality assistance from our experts at RiCal today. For more than three decades we have been exceeding client’s expectations for their repair and roofing projects. We have earned the reputation of being a leading name in the industry. We have the goal of improving your property so that it becomes exactly as you envisioned, while not exceeding the constraints of your budget. Our craftsmen are fully certified and trained. They have a working philosophy of adding their personal skills to the property of our clients. We supply a lengthy warranty for each of our exterior repair and maintenance projects. Certification of our contractors are extensive and demonstrate that the knowledge and training are a key factor in the choice of contractors. The contractors are all licensed and the company holds License 72620 of the North Caroline Licensing Board for General Contractors. We also are certified for Construction Industry Awareness. We offer a number of benefits which are important to our clients. We complete our projects on schedule and ensure that the entire process from beginning to end is cost effective. We want to be assured that our final product exceeds expectations. We are known for our honesty, great value, and integrity. You can be sure that you will have quality service and we stand behind our products and workmanship. Our team has extensive industry experience, and we work hard to make our client’s visions a reality. While we specialize in roofing and siding, we take pride in our ability to become your go-to general contractor to take care of all your construction needs. Whether it is a large job like adding a space to your home, building a commercial property or even the smallest job, such as inspecting your roof or maintaining your home’s siding and gutters, we will deliver exceptional, long-lasting results for those services. No one understands how to renovate or improve a structure’s exterior quite like RiCal Construction. We are proud to assist homeowners and commercial entities across the Metro Raleigh, NC region. We specialize in the inspection, repair, installation, and cleaning of gutters, siding, and roofing. Whether the damage to the roof or your home or business is minor or extensive, finding the right roof repair in Raleigh is crucial. Call (919) 771-0207 today for more details about products and services.